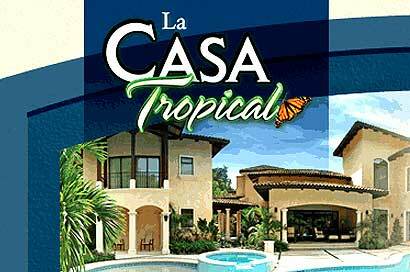 Casa Tropical is a beautiful 5000 sq.ft home in tropical surroundings. Nestled in the Eco Golf Estates, this luxurious home offers privacy & fun in a jungle setting. The open great room, spacious covered outdoor living space, and the supper large swimming pool/Jacuzzi make this Eco Estate an ideal spot for family vacations, corporate outings, and social activities!!! It is like “your own resort within the resort”. The huge swimming pool has a beach entrance, swim-up bar, assorted colored light show, and a soothing Jacuzzi. -Large Swimming Pool with beach entrance & Colored Lights. -Pool bar w/TV & Barbeque. 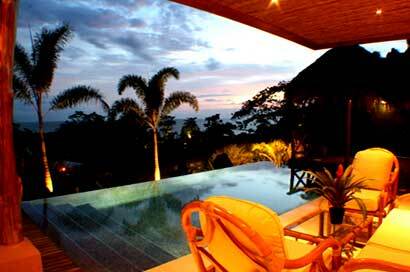 Casa Hermosa is a luxurious privately owned home located on the central pacific coast of Costa Rica. Surrounded by rainforest, Casa Hermosa sits on a hillside overlooking the Pacific Ocean. The home’s "tropical modern" arquitecture allows every room to open up to large wooden decks with spectacular views. Infinity edge pool, Jacuzzi and private beach access are just some of the amenities for you to enjoy. Casa Hermosa's personal concierge will be available to assist you with all of your vacation needs.